Significance: Denial of this amendment could impact CodeNEXT implementation in this area (& similar corridors). For more background of the topic, City Staff within the Planning & Zoning Department would like to expand the designation of “Activity Corridor” to the stretch of Guadalupe between 29th & 51st according to the Imagine Austin Annual Report Amendments filed back in July. City Council will be taking up the issue on Oct 6. See the amendment request CPA-2016-0003 here. Officially defining this path of the map as an Activity Corridor would more fully connect the identified areas of high throughput of North Lamar which runs North/South and 51st and 53rd which runs East/West. Activity corridors have a dual nature. They are the connections that link activity centers and other key destinations to one another and allow people to travel throughout the city and region by bicycle, transit, or automobile. Corridors are also characterized by a variety of activities and types of buildings located along the roadway — shopping, restaurants and cafés, parks, schools, single-family houses, offices. Along many corridors, there will be both large and small redevelopment sites. These redevelopment opportunities may be continuous along stretches of the corridor. There may also be a series of small neighborhood centers, connected by the roadway. Other corridors may have fewer redevelopment opportunities, but already have a mixture of uses, and could provide critical transportation connections. As a corridor evolves, sites that do not redevelop may transition from one use to another, such as a service station becoming a restaurant or a large retail space being divided into several storefronts. To improve mobility along an activity corridor, new and redevelopment should reduce per capita car use and increase walking, bicycling, and transit use. Intensity of land use should correspond to the availability of quality transit, public space, and walkable destinations. Site design should use building arrangement and open space to reduce walking distance to transit and destinations, achieve safety and comfort, and draw people outdoors. @tommyates I edited the title of this post to reflect the new date that Council will be taking up this item. Would you mind making the same changes to the body of your original post so that we can continue the conversation in this same thread with updated information? Below is the latest email that Friends of Hyde Park sent to the city council. The Neighborhood Association Friends of Hyde Park board supports the staff recommendation to designate Guadalupe Street from 29th Street to 51st Street as an activity corridor. Hyde Park residents want greater access to more walkable amenities including restaurants, grocery stores, and small businesses and to provide more needed housing in central Austin. *To promote a more walkable, bikeable, and transit friendly neighborhood. *To encourage people to live in Hyde Park. *To help existing local businesses and bring new local businesses into the neighborhood. This designation would allow more homeowners within .25 miles of the activity corridor to build an accessory dwelling unit by further reducing the current restrictive parking requirements. Our membership supports easing restrictions on accessory dwelling units. In a recent vote of the Friends of Hyde Park membership, 88 Hyde Park residents voted out of our 296 members, 73% of the voters voted to support and encourage the responsible development of the Austin State Hospital site in keeping with the urban core with housing of all types (including “Missing Middle” housing - carriage houses, triplexes, fourplexes, townhouses, small apartments, as well as Vertical Mixed Use buildings). With the possible redevelopment of the Austin State Hospital in the near future the designation would allow for more much needed housing along one of the last undeveloped tracts in central Austin. For more information on our membership’s vote on the Austin State Hospital please visit http://friendsofhydepark.atxfriends.org/record-of-votes/. Please consider supporting this change that will benefit our neighborhood and its residents. This statement is the opinion of the Friends of Hyde Park board, made due to its alignment to our bylaws, goals, and previous membership votes. In this Planning Commission (PC) meeting, a group of amendments to the Imagine Austin (IA) Comprehensive Plan (Comp Plan) as part of the annual update process were considered before being sent to City Council. Matthew Dugan (CoA Planning & Zoning) started off asking for clarification if notification requirements are the same for Comp Plan amendments as they are for city-wide code amendments (which require notification of all N’hood groups) so he would know how to proceed after the PC voted. All amendments were previously identified by City staff as part of their annual review of IA, then went through the Comprehensive Plan Joint Committee where the recommendations were fleshed out into official language. When voting on the whole batch, all other amendments were accepted and sent to Council with the recommendation of PC. Add’l language was included at the behest of Commissioner Zaragoza asking that City Staff reexamine areas on the periphery of the Growth Concept Map (this visually shows the Comp Plan on a map) which aren’t currently designated as Corridors/Centers, with an emphasis on West of Mopac where no such designations exist. This lack of corridors in West Austin is considered an oversight in the original Comp Plan process. Dugan believed that such an update would necessitate a more rigorous procedure than a simple Commission recommendation, and should happen in the 5 year Comp Plan update. Commish Shieh asked why West Austin was overlooked at all, whether it was purposeful, or whether it was left off because metrics at the time didn’t warrant the designation. Commish Zaragoza noted that the map was glaringly unjust in the present day, and asked that this review of West Austin at least happen as a precursor to the 5-year update to the Comp Plan (eta: Spring 2017) so that community discussion can begin early. Mary Ingle (NUNA) - She understands that this was an error and omission in the plan. She noted that Activity Corridors also have corresponding Activity Plans, but noted that this newly suggested section would also need an Activity Plan. In previous planning processes N’hoods had been contacted, and in this change N’hoods hadn’t been contacted yet. She was remiss that a public process hadn’t been included in this. David King (Zilker) - reiterated a request for public input by affected N’hoods, and asked that the amendment be held for public review. Commish White agreed w/ Vela. Also noted that in her N’hood’s consideration of the IA designation (back in 2012) they had an in-depth conversation and wouldn’t want to deprive the affected n’hoods of the convo. She asked staff what the public process would look like if it were to be included. Dugan responded that the current process - appearing in the subcommittee of Comprehensive Plan Joint Committee, then Planning Commission and then going to Council allows plenty of opportunity for public consideration and input. Commish Thompson noted his n’hood’s experience discussing E C Chavez as becoming an Activity Corridor and being surprised by the designation back in original planning, but conceded that no one along Guadalupe should be surprised given that it’s the busiest bus corridor in the city, and that it is the main through-street north of the Capital. Commish Seeger reiterated public speakers concerns about a lack of public input here. Staff noted that Activity Centers have been added in this same process, but no Activity Corridor has been added by the annual Plan Amendment process. Commish Vela noted that the public participation to date had included review in the Comp Plan Joint Committee meeting on Aug 11th had about 10 folks from Hyde Park in attendance who were concerned about the possibility that the designation would supersede the Hyde Park N’hood Combined Conservation District and allow ADUs to be built according to City Regulations enacted in Nov 2015. He also noted that he got between 30-40 emails on the matter mostly in support of the designation. He added that given the undebatable nature of Guadalupe existing within the definition of an Activity Corridor, the "public process” complaint could be seen as a Red Herring. He rhetorically asked how long it would take for the dissenters to be satisfied with the amount of time they’ve been given to participate, and how great the benefit would actually be if time were extended concluding that it wouldn’t change their minds either way. Here’s an Austin Monitor article that goes into detail about this. The update received a 5-3-1 vote from the Planning Commission. "Commissioner Chito Vela said he had gotten 30 to 40 letters about the matter, most of them in support of the amendments. He did note that when the change to Guadalupe Street was discussed in committee, there were people who opposed it, mainly over concerns that it would allow accessory dwelling units to be built. “I see the whole public process as more of a red herring,” said Vela. “We know that people are going to be opposed to it, and people are going to support it. I’m not sure what benefit another round of public hearings is going to have or whose mind it’s going to change. Wow. Great statement by Commissioner Vela. Here are is what Appendix A-30 in the Imagine Austin plan states as the criteria for identifying corridors. Connecting the city: Routes that connected multiple activity or job centers or major transportation features. Core Transit Corridors and Future Core Transit Corridors: Routes identified by the City’s Commercial Design Standards, which require wider sidewalks and street trees. Strategic Mobility Plan: Corridor studies included in the Strategic Mobility Plan. Land availability: Areas with vacant land or land identified for redevelopment by neighborhood plans (generally, but not exclusively, calling for mixed-use future land use catagories). I think it might help if our membership takes a position on the issue also since this could have a big impact on future housing opportunities in central Austin. I’ve included a draft resolution below, if anyone has any suggestions, comments, or anything else and if we want to vote on this. We need to have a vote soon on our bylaws update (:FAN: FAN Bylaw Changes) and it’d be great to have something like this to vote on also at the same time anyways. 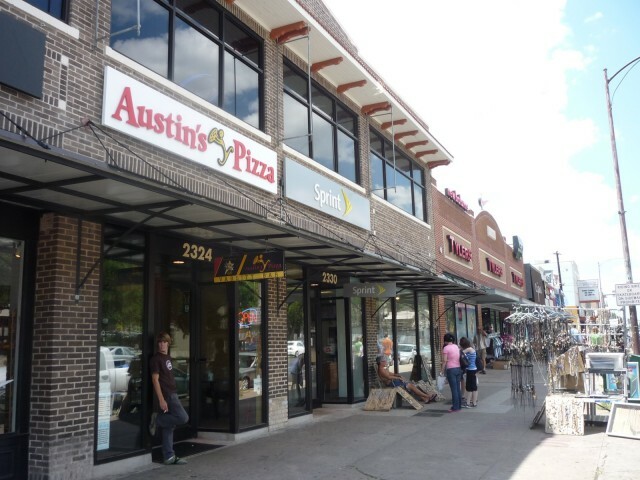 Friends of Austin Neighborhoods (FAN) supports the staff recommendation to designate Guadalupe Street from 29th Street to 51st Street as an activity corridor. Residents of neighborhoods along Guadalupe St. deserve greater access to jobs and walkable amenities, including restaurants, grocery stores, and small businesses, as well as much-needed housing near the urban core. By further reducing the current restrictive parking requirements, this designation would allow more homeowners within a quarter mile of the activity corridor to build accessory dwellings. FAN members support reducing the restrictions on accessory dwelling units as a way of welcoming new residents and the abundant and diverse supply of housing needed to accommodate them. With the possible redevelopment of the Austin State Hospital in the near future, the Guadalupe activity corridor designation would allow for additional housing alongside one of the last undeveloped tracts in central Austin. Land availability: Areas with vacant land or land identified for redevelopment by neighborhood plans (generally, but not exclusively, calling for mixed-use future land use categories). This recommendation has gone through the full process from being identified by city staff as part of their 2016 Annual Report for Imagine Austin Comprehensive Plan and amendments, then to the Comprehensive Plan Joint Committee, to the Planning Commission Subcommittee, to the full Planning Commission, and now to the City Council for consideration. Ample time and notification to neighborhood residents has been provided for this update to the Imagine Austin Plan, including a postponement at the City Council for further consideration. We urge the City Council to approve this important designation. In this video Commissioner Rojas asks that Comprehensive Plan Amendments to Imagine Austin for 2016 be put on the Zoning & Platting Commission’s next Agenda for September 20. Unless there are any other suggested changes, I’d like to hopefully get the vote started on this this weekend so NAs have plenty of time to weigh in and there’s also plenty of time before it comes to council. This is also going before the Zoning and Platting Commission on Sept 20, 2016. If everyone could send their emails to this commission also, that would really help. If you sent something to the city council or Planning Commission already, copying and pasting that email would be perfect. I’ve included the emails for the Zoning and Platting Commission below. Does anyone know what happened at the Zoning and Platting Commission yesterday regarding the Guadalupe activity corridor? Take 5 Seconds to send a 1-click email to the city council to support improving Guadalupe Street from 29th Street to 51st Street. Many areas along this stretch of Guadalupe Street lack walkable amenities or businesses that neighbors or Austinites can use and enjoy. Designating this stretch of Guadalupe Street as an activity corridor will allow more walkable amenities, including restaurants, grocery stores, and small businesses that provide jobs to local residents, as well as creating much-needed housing near the urban core. Allowing more housing will help address Austin’s severe housing shortage that’s driving up rents for renters and property taxes for homeowners. The city council will make this decision at their meeting on October 6th. Every email matters! The city council voted to make Guadalupe St from 29th to 51st St an activity corridor yesterday Oct 6th.